First a little test. You may use the Internet or you can wait to the end and I’ll give you the answers. First….we have a herd of cows. Second, we have a ___________ of hippopotamus. Third, we have a ____________of standing giraffe. 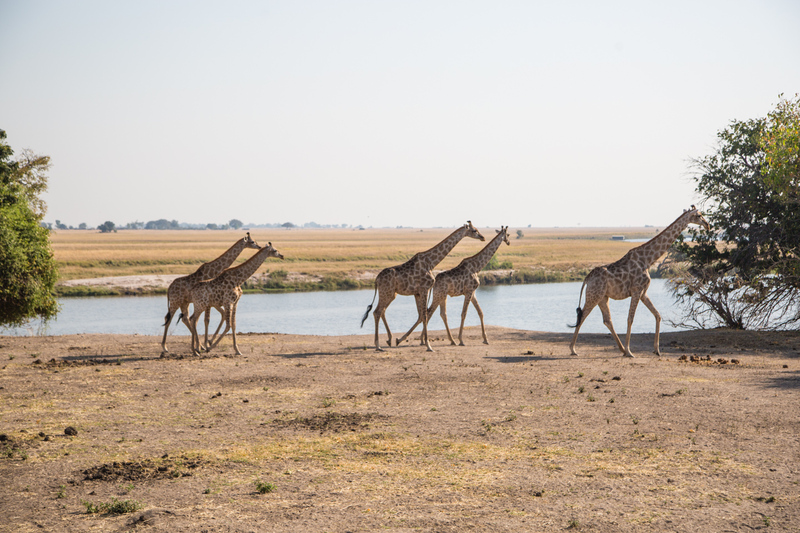 Fourth, we have a ___________of moving giraffe…either running or walking. Five, we have a _____________of zebra. 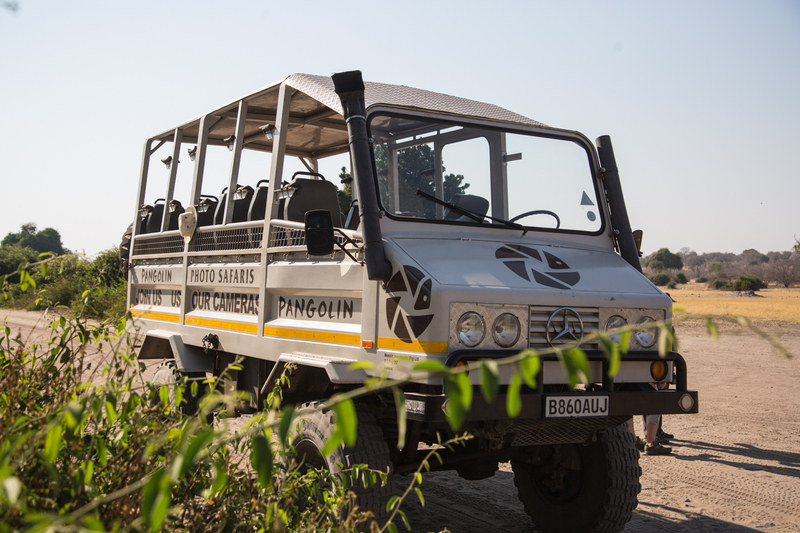 Our second day at Chobe Safari Lodge gave us two game drives with Pangolin Photo Tours. In the morning, we had Charl, our guide, and Kim, our driver. Here’s our vehicle. We didn’t shoot a lot on our two game drives. 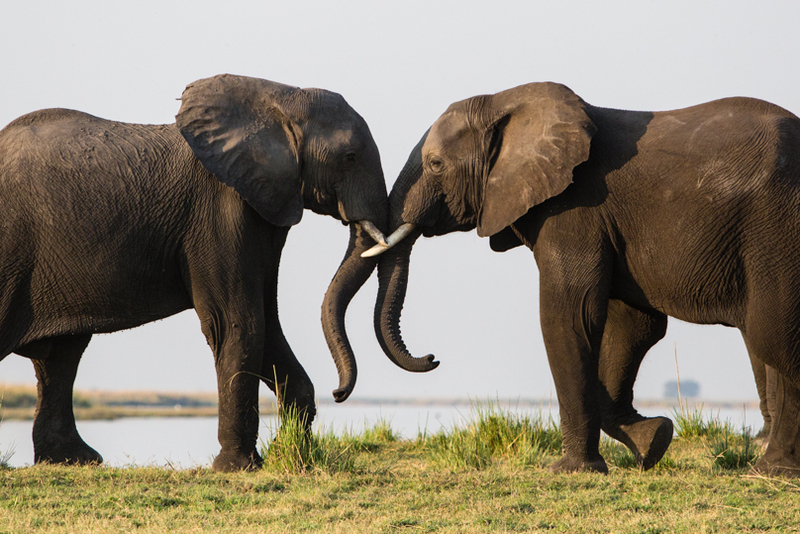 We’d already shot lots of zebra, giraffe, more impala that we could count, etc. What we wanted were lions. We hadn’t seen a lion yet. Finally, we spotted one, then two and eventually five but they were hidden behind some bushes and we couldn’t get a clean shot. When we stopped to shoot, our driver turned off the truck to reduce the vibration. 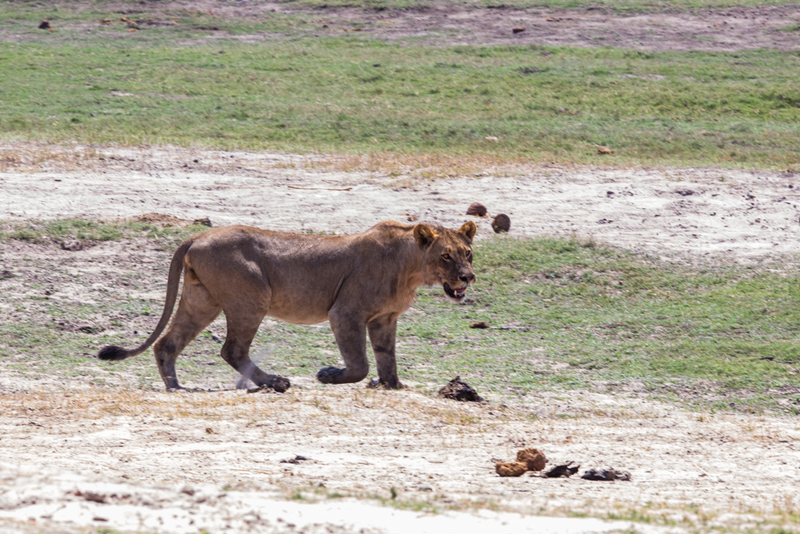 After sitting there trying to find these lions, Kim tried to start the truck but it was totally dead. He called for help but it was going to be hours before they got there. Apparently, there isn’t an Interstate distributor in southern Africa. What else to do? The four guys…three customers and our guide…got out and pushed and Kim popped the clutch. It started and he never turned it off again that morning! I’ve got a picture coming from one of the ladies and Kassie has it on video but I don’t have it to share. Charl and Pangolin Photo took our group to lunch at a great pizza place in Kasane. That Charl standing with the rest of our group. 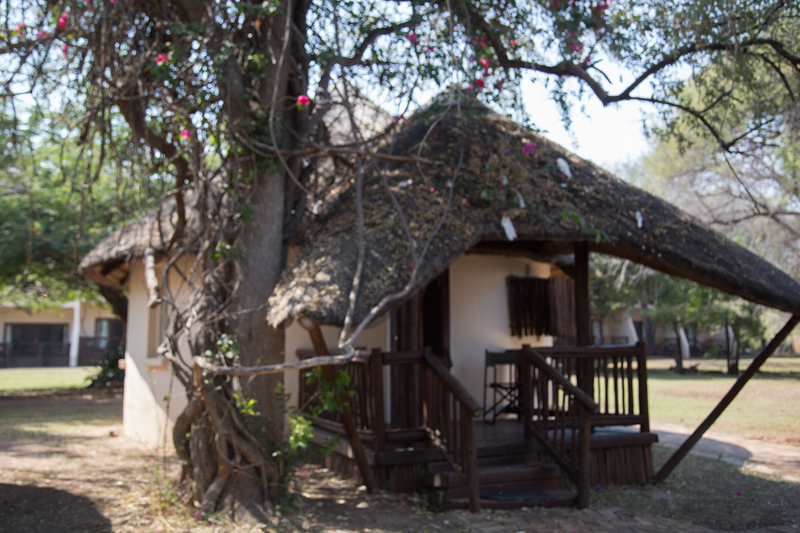 While we were at the Chobe Safari Lodge, we stayed in a rondavel. It was quite comfortable with a great view of the river. 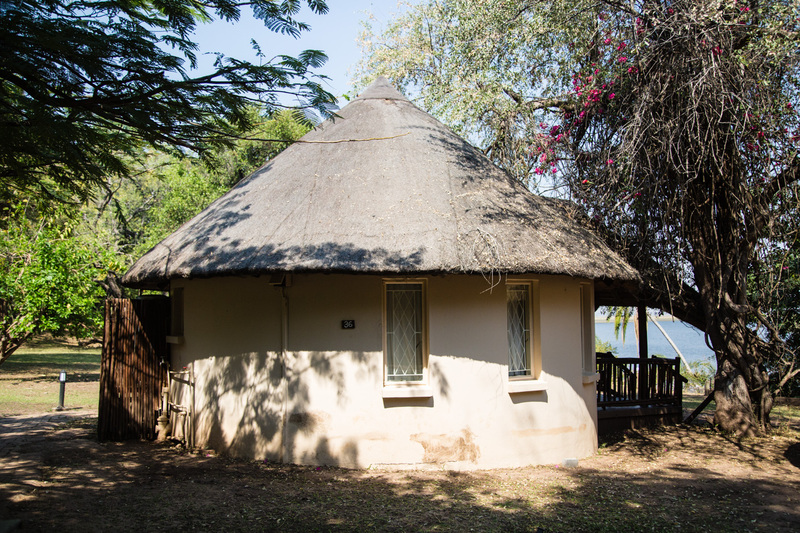 After departing Kasane, we headed west to Muchenje where we camped. 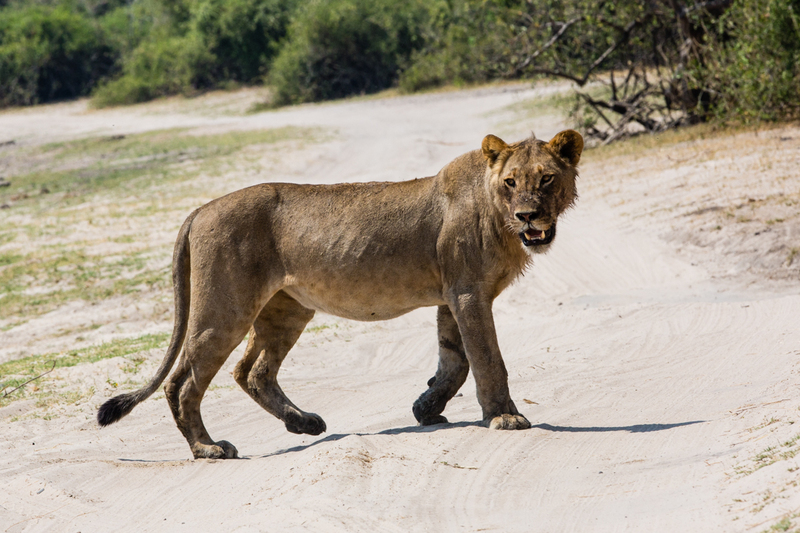 We got there early and decided to drive ourselves through this part of Chobe National Park and see if we could find the lions. No luck. 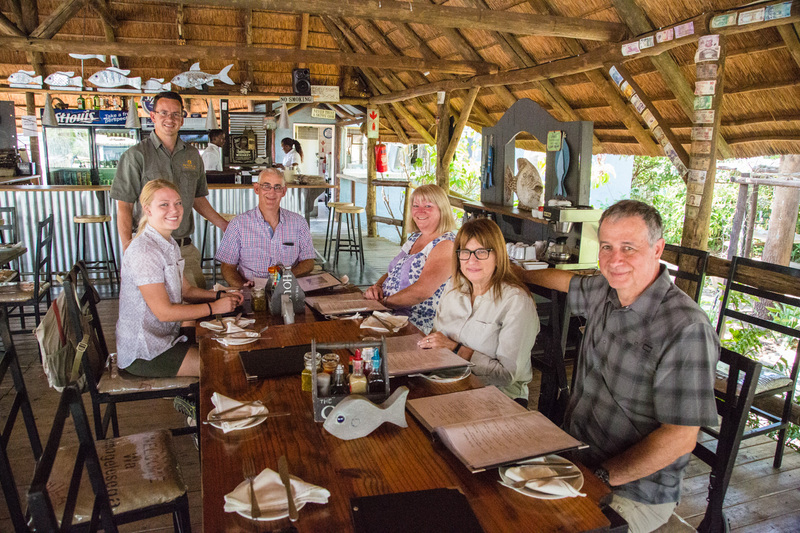 The next day, after checking out, we again decided to drive through Chobe as it was on our way to our next two nights camping at Senyati Camp. Today, we hit it big with the lions. 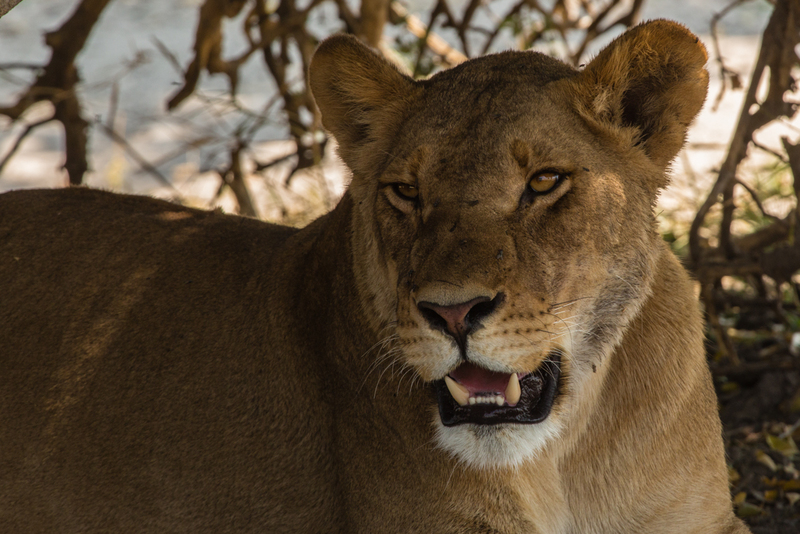 We had stopped another safari truck and they told us there were some lions near the river and that the lions had killed a cape buffalo. We headed there immediately. Only problem was the kill was a long way from the road. 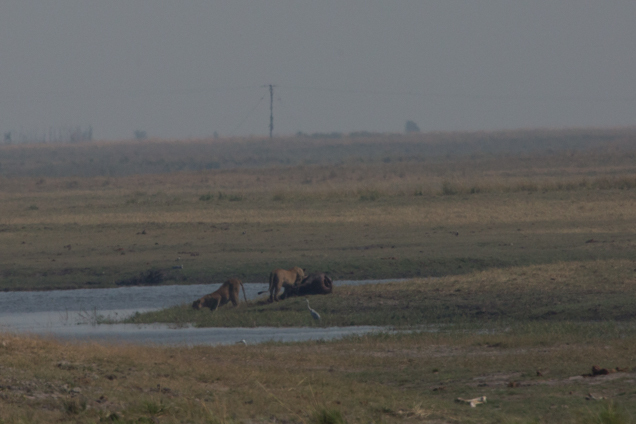 I’ve cropped this picture so that you can see there really are lions there. 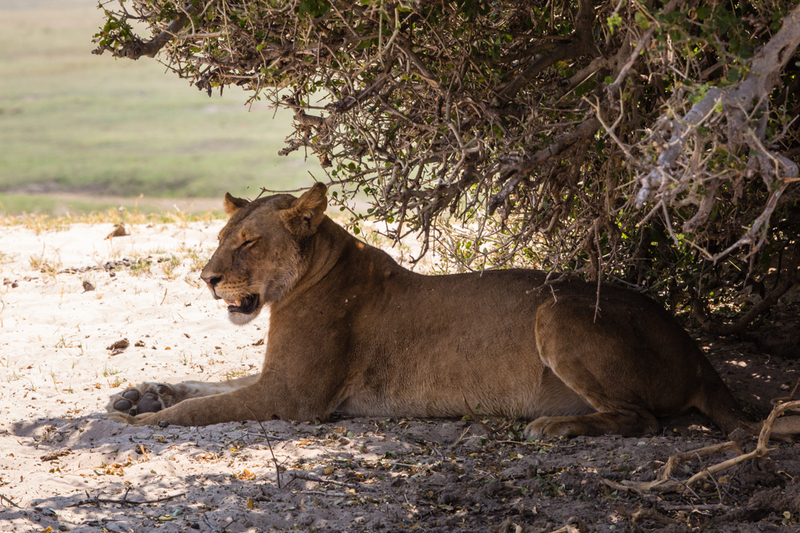 Kassie and I sat there for three hours expecting the lions would eventually look for shade from the mid-day sun. 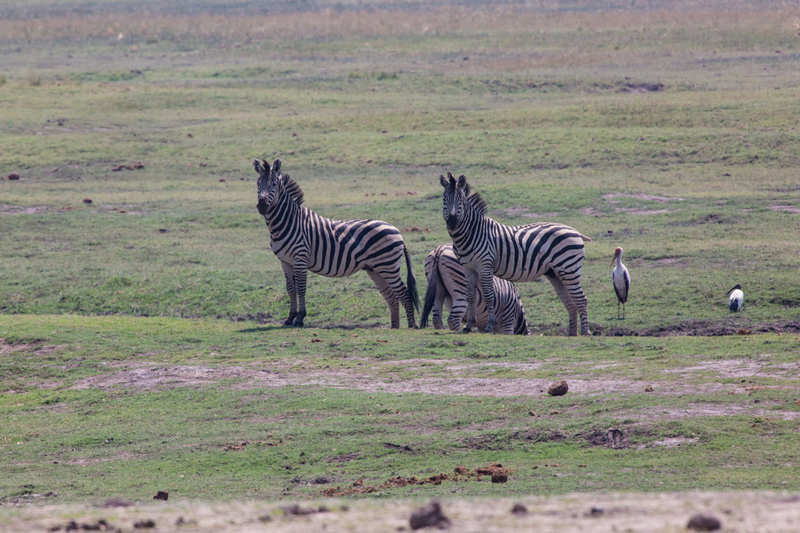 Finally, they started back toward us and they spotted three zebras. It looked like dessert was on the menu. 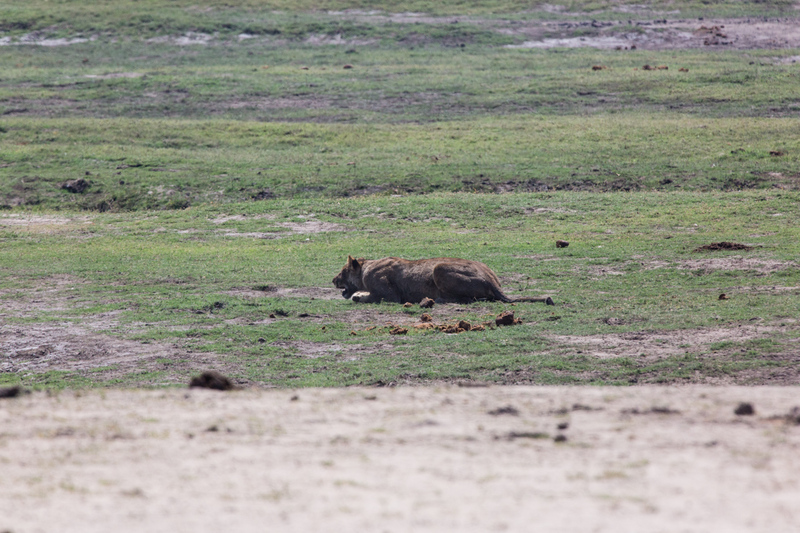 The zebra made a run for it and the lions gave up and headed back to the shade. 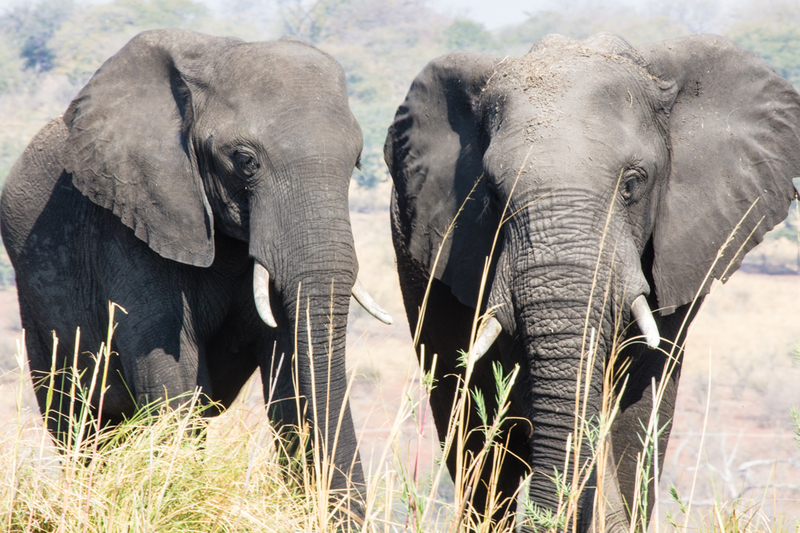 They ended up about 20-30 feet away from our truck! 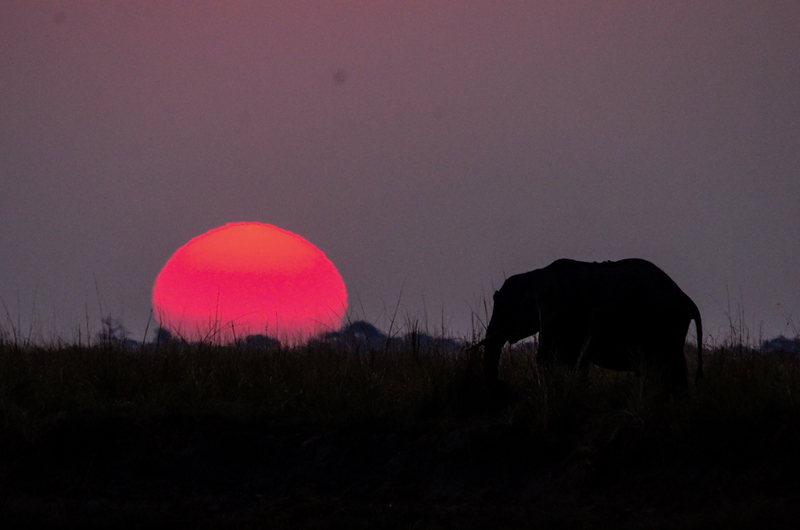 Here are a few other shots from the photo trips and the last is one of Kassie’s sunset pictures with an elephant. And finally, this sunset shot from Kassie. She had lots of great shots but I selected this one. Now for the answers to the test. It’s a pod of hippopotamus. A tower of standing giraffe. A journey of moving giraffe. And a dazzle of zebras. Sorry this one was so long. I’m trying to catch up.